GOODIES: You call yourself a fan? First up, the standard ‘Crush Club‘ – so far I have three. The Channing Tatum Crush Club, or CTCC, counts me and Amanda as members. The Zac Efron Crush Club, ZECC, includes me, Amanda and Nina officially. And the Robert Pattinson Crush Club, RPCC, is mainly me and Cindy. Necessary criteria is pretty simple, they’re cute and talented enough to tolerate watching most films they make. I know what you’re thinking, where is Shia LaBeouf?? Well he’s actually an AA – Artist Appreciation. This is a one member club, just me, how sad. What designates an AA? It’s kind of a mix of I think they are talented, spunky, I wish them lots of success, and let’s be friends. It’s more of a nurturing pride for than a crush on. Joseph Gordon Levitt just earned himself an AA after I finally caught his monologue from SNL. He’s cute enough for a CC, but far too petite for me. Can’t even handle it. CPLC, who’s in? Here’s where I need your help. I don’t know if I should throw ladies under the Crush Club and Artist Appreciation banners or if they get their own designations… I could easily give Emily Blunt and Rachel McAdams their own AA‘s… It just feels like something’s missing, like they’re not being rewarded enough for their hotness. Any suggestions? Fellas?? 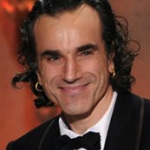 And then finally, and this is the most important to me, what do I do about Daniel Day Lewis? No one comes close to my totally unhealthy love and admiration for this guy. What do I even title it? Platinum Idol?? Diamond League? Ha, the DDLDL. His Holiness? I do think I need something for the kind of the older generation of geniuses… Hugh Laurie, Frances McDormand (Erin’s pick)… Where does Paul Rudd fit in? I have much to figure out. I’m also considering an Auteur Idol – the director series. I wanna know who you’d nominate for what and that’s what the comment box is for! !